If you are wondering what the above words have in common, the answer is not that complicated: on Thursday (March 29) the European Parliament passed a resolution calling for the EU negotiations with Serbia to start as soon as possible, provided that the country carried out the necessary reforms. In the same time the resolution urges the Serbian authorities not to hold local elections in the municipalities of northern Kosovo and expresses hope that the International Olympics Committee will allow Kosovo athletes to take part in the Olympic Games in London this summer. “Parliament says the EU should start accession talks with Serbia as soon as possible, [...] welcomes plans to start them with Montenegro in June and calls on the five EU Member States that have yet not recognised Kosovo's independence to do so, in three resolutions adopted on Thursday,” the institution’s official statement reads. As a result, comments from Belgrade followed, where in reports entitled “Kosovo at the London Olympics?” and “The EP Rejected the Asterisk for Kosovo” Serbian media explained that the European Parliament had rejected the proposal by a group of MEPs, under which Kosovo should be marked with an asterisk in the institution’s official documents and that it had called for a clear EU perspective for the former Serbian province. And while there is virtually no chance the Olympic organisers to change the already prepared games schedule, the possibility Belgrade to neglect the recommendation and organise local elections in Kosovo remains. Earlier in March, Serbia decided that Kosovo’s citizens would be able to take part in the local elections, which coincide with the general election and would most likely coincide with the presidential vote too. Back then the decision was criticised by both Brussels and Pristina, which consider the organisation of local elections a primary task of the local authorities. The Kosovo parliament even adopted a special resolution to oppose the decision. Belgrade authorities said they could do this, but the problem is that if Serbia insists on organising local elections in Kosovo, the elections documents could be confiscated at the border with the former province. EU Enlargement Commissioner Stefan Fule also backed a position against holding local elections during debates on Serbia, Kosovo and Montenegro’s progress to EU accession. Besides, Fule said that the Commission would follow closely and assess how Serbia implemented the criteria, especially the situation in several key areas of democratic institutions - judiciary, fight against corruption and organised crime, human rights and protection of minorities. He also called Belgrade and Pristina to solve the problems in the fields of telecommunications and energy, as well as to avoid creating new controversial issues. Earlier the same week Fule himself was in Pristina in order to hand to the Kosovo authorities the documents for the start of a feasibility study for the future Stabilisation and Association agreement with the EU. “The feasibility study will confirm the integration policy of Kosovo. It marks the start of a new era in our relations. We have to keep this pace. Kosovo has to focus on the key issues in this study. As the most important among them I would point out: economy, public sector reform, the rule of law and the integration of the minorities,” Fule was quoted by Al Jazeera Balkans as saying in Pristina. In its resolution the EP says that the key remaining challenges for Kosovo include returning of refugees and internally displaced people, fighting corruption and remedying the unstable and tense situation in the north. The minorities situation is an issue that is related not only to Kosovo, as during the debates in the EP Fule said that their situation would be included in the next report on Serbia’s progress later this year. 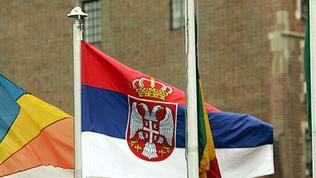 “We would like Serbia to move to the next stage – the start of negotiations. This could only happen if the criteria are met, that is why we will closely monitor and assess how Serbia meets the criteria, especially in some key areas of the democratic institutions - the judiciary, the fight against corruption and organised crime, human rights and minorities protection,“ he explained. A day later, on Friday, the head of EU delegation to Belgrade, Vincent Degert, commented that the EU did not want Serbia to give up its own territory and that the Union would push for a solution of the Kosovo issue, but that it would not behave as if this issue did not exist. “We do not believe that there would be a conflict situation, but we do believe that through dialogue a solution can be reached,” Degert told a conference on the political and economical consequences of Serbia’s candidate status. 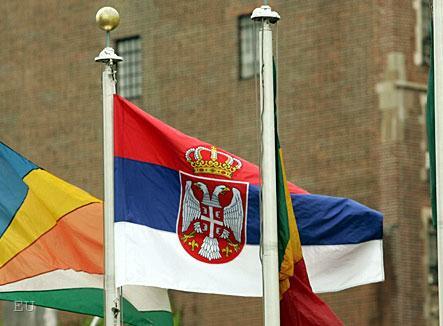 I am Serbian and I honestly hope Serbia will never join EU for many good reasons. An independent and neutral Serbia is the only viable way forward. Hopefully the upcoming election will prove my opinion.